Toilet aficionados, look no further. A company is promising you "a figment of beauty and geometry" with piano music, feet warmers and a slew of other amenities — if you’re willing to flush out nearly $6,400. Kohler Co. is preparing to release its high-end Numi toilet this fall. When it senses your presence, the toilet automatically raises an adjustable-height cover. A night light in the bidet guides you to its heated seat. If you stay a while, plug in your iPod or turn on the built-in FM radio. Then the amount of water used to flush adjusts, depending on how long you’ve been sitting. A floor-level vent blows warm air to keep your toes warm. 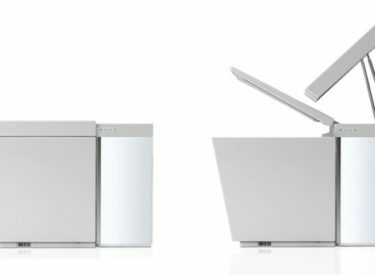 The Numi costs $6,390 plus installation, but Kohler is promising "the ultimate flushing experience."